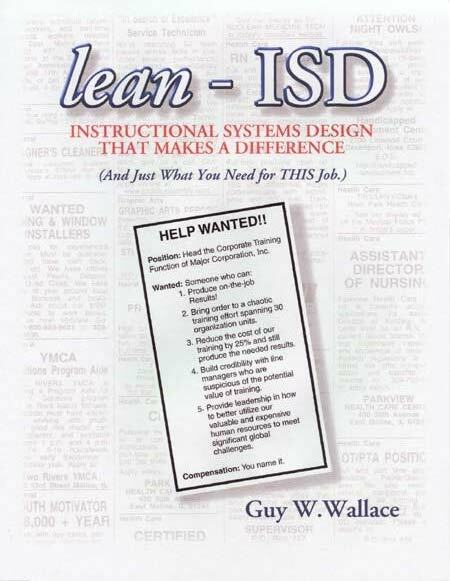 If your ISD/ADDIE Processes Were Lean – What Would That Mean? PACT is my methodology-set – for adoption/adaptation – for ISD efforts. 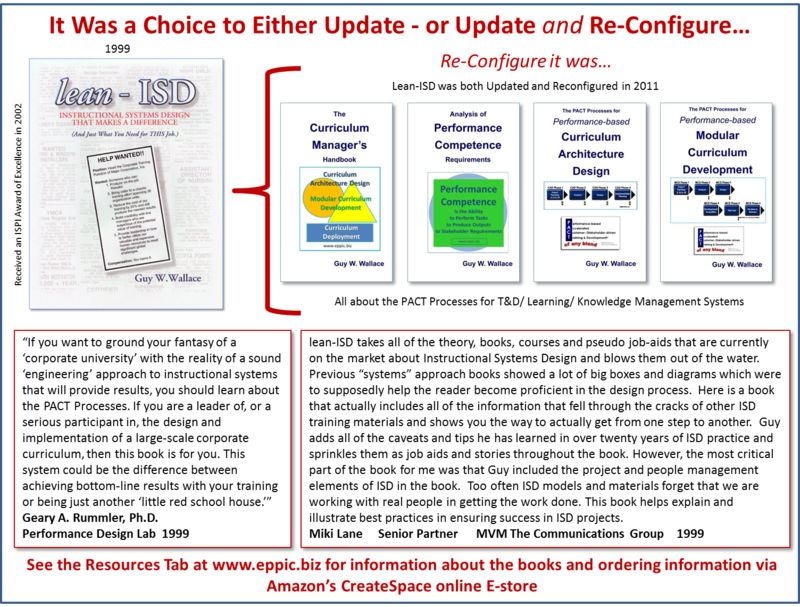 Scalable for large-scale end-to-end curriculum paths, or learning paths, or as I’ve been describing them since the early 1980s T&D blueprints and Curriculum Architectures. In all the recent hysteria about the “current value of ADDIE” I still see it as a useful planning and management tool. It is our (my) profession’s NPD Process – our New Product Development Process. Every Enterprise of significance has one – because it’s too risky without one. One of my pet peeves is whenever I read about the iterative nature of ADDIE. Hey really – none of my consulting clients in 25 years years (1982-2007) would EVER had tolerated non-predictive ITERATIONS. 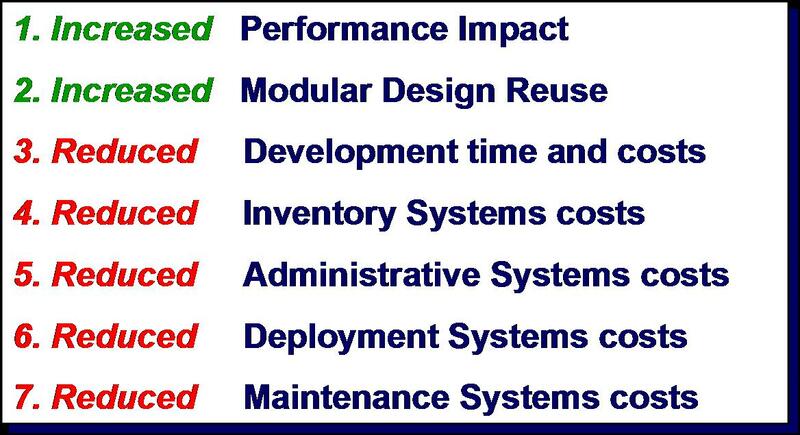 That was also known as “re-work” to my manufacturing clients. Because you didn’t get it right the first time. Why? Because that’s cheaper, faster and if done appropriately – higher quality of output. The above 7 “RETURN” types is a framework for determining the answer to “WHAT WOULD THAT MEAN?” for yourself. As always, it depends. Adapt what you cannot adopt. Adopt what you can. 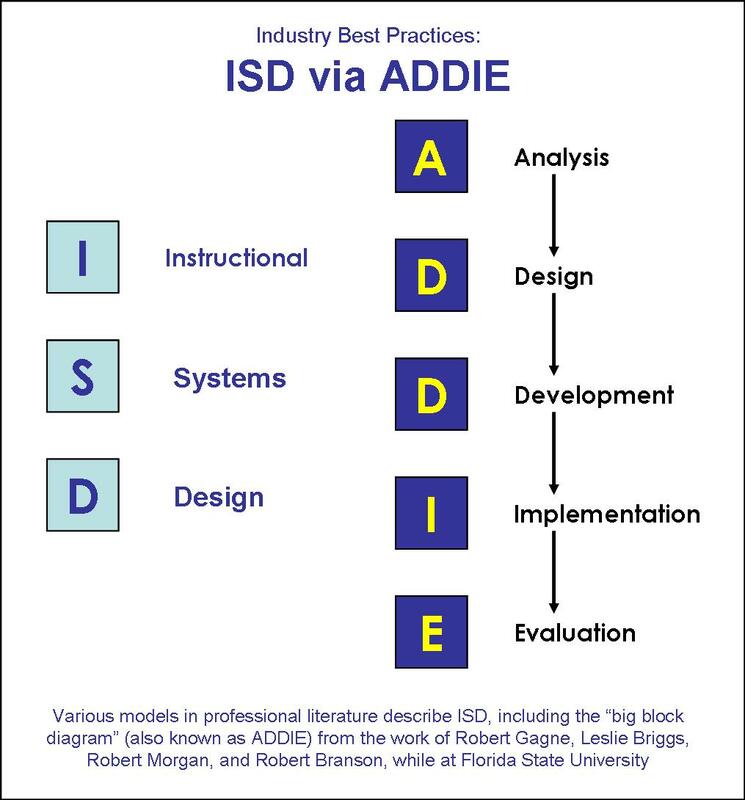 My PACT version of ADDIE is MCD – Modular Curriculum Development. I never liked ADDIE’s lack of a “planning” step. So I fixed that in mine. I needed a plan because I had a cadre of consultants all trained/certified (by me) on my staffs at SWI Svenson & Wallace Inc. 1982-1997) and CADDI (1997-2002) and that I used as contractors at EPPIC (2002-2007) – and I needed to use them more effectively, on more projects than one at a time (I often had 5-7 projects going simultaneously back in the day) – and I needed to fairly price my efforts. And I always have preferred offering fixed fee pricing because that was always best – IF the deliverables are crystal clear and the tasks/steps of the project are clearly defined, then the client is less likely to make mid-course changes to the what and how of the project. Mid-course corrections most often leads to cost run ups – and no one likes that – not even the consultants – or at least those looking for a long term relationship that is. For info about these new books – please go here. For info about related Workshops and Coaching Sessions for staff development – please go here.